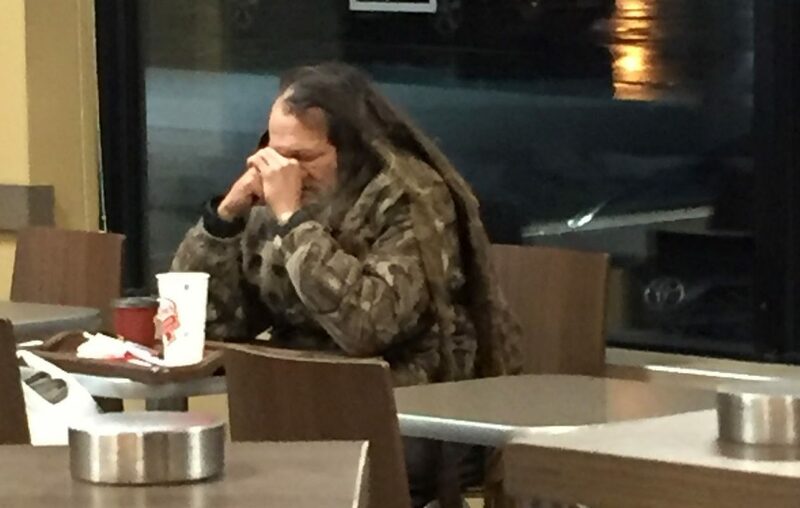 On Thursday, police said a homeless man known to those who saw him only as Larry was found dead in a bus shelter in Williamsville. The news took me back to the early summer of 1997. I had been watching Larry for a while as he made his daily walk along Main Street. I wanted to talk to him. I wanted to know why he was homeless. I wanted to know his story so I could try to tell it. One day when I spotted him on my way to work, I pulled into the parking lot of the convenience store where I knew he was heading with a sack of empty cans and bottles slung over his shoulder. Little did he know the back seat of my car was full of empties and had been for a while. “Larry,” I said, as he opened the door to the store. He looked but said nothing. I introduced myself, offered my hand and pointed to my car – a convertible parked directly in front of the door. The empties sparkled in the sunlight. I loaded the empties into a cart, and with some of the money from the returns, Larry bought a pack of Camel cigarettes, offered me one and we walked a mile. He said little. His green eyes told me nothing. But the merchants and residents who had cared for him daily told me what I needed to know. Larry, they said, was a veteran who suffered from post-traumatic stress disorder – but there was no way of confirming that. They could not even identify his last name, but they knew what size shoes and clothes he wore. They knew what he liked to eat, where he slept and how – atop that mane of dreadlocks. But from the first time I saw him, I wanted to know why he was homeless. Twenty-two years later, I’m a little closer to the answer. There is no single reason for homelessness. It depends on the person who lives it. Women forced from their homes because of family violence reside in shelters. Debt-ridden people who make tough choices. Teenage runaways confused over life. Job loss, mental illness. Lots of people offered Larry help. He often turned it down. Larry died in a blizzard in a village where he worked his way into the hearts of people who tried to clothe and feed him. Those people are asking themselves why he died. But I know they are the reason why he lived.